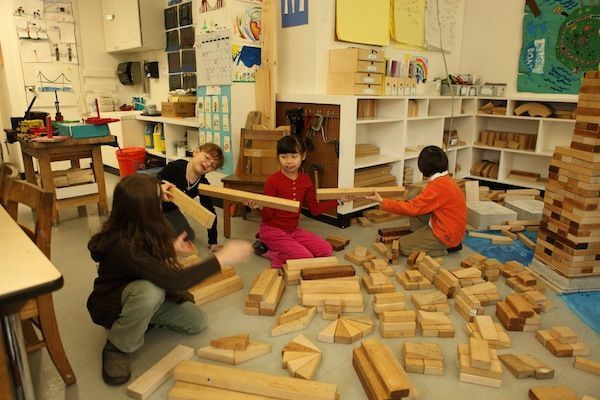 Wooden unit blocks are one of the basic materials used every day by children in Lower School Groups at City and Country School. Caroline Pratt, founder of City and Country, designed the first unit blocks in 1913. 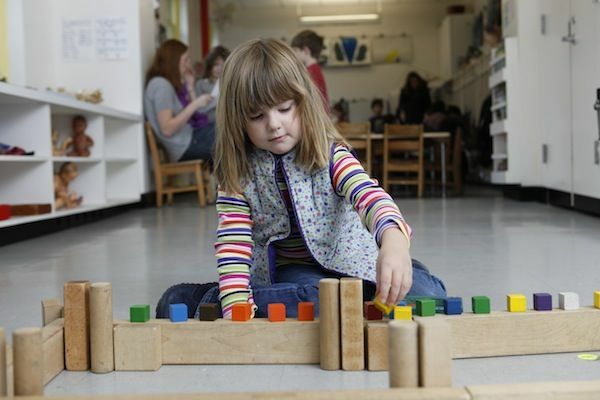 Pratt was a teacher seeking to create a school environment and materials that suit the way children learn best—through play and firsthand exploration. As she was developing ideas for her new school, she envisioned a community of children who could reproduce the world and its functioning and she sought a flexible and adaptable material that children could use to do it. 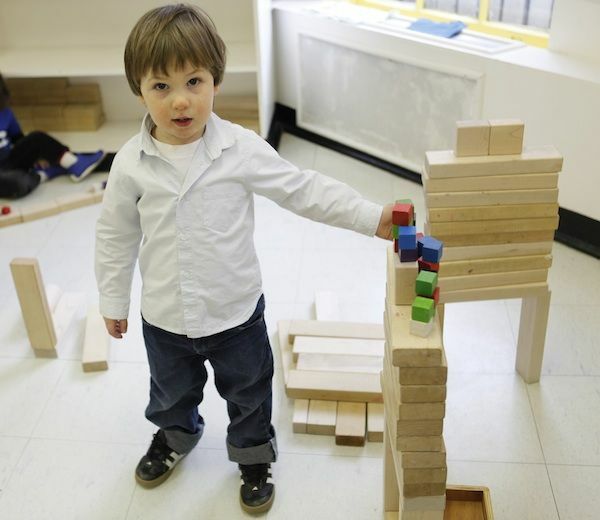 Blocks, and the dramatic play that accompanies block building, offer children multiple and diverse opportunities to express their understanding of the social and physical world in which they live. From the early efforts of two- and three-year-olds to stack and balance blocks to the dynamic communities of stores, services, and homes built by six- and seven-year-olds, children can experience a growing and vital sense of community. 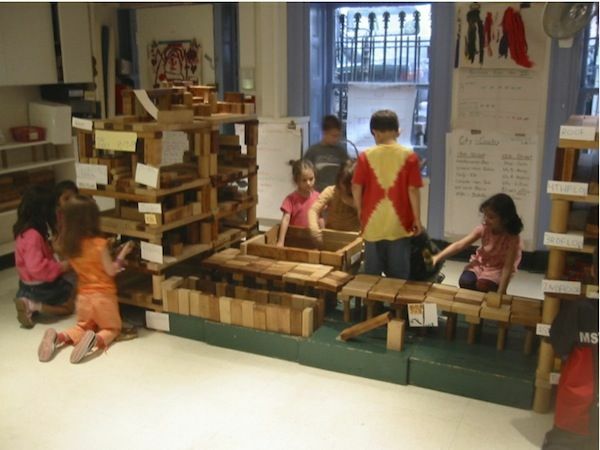 Working collaboratively to design block buildings, children learn to confidently articulate and solve problems, to negotiate, and to cooperate. 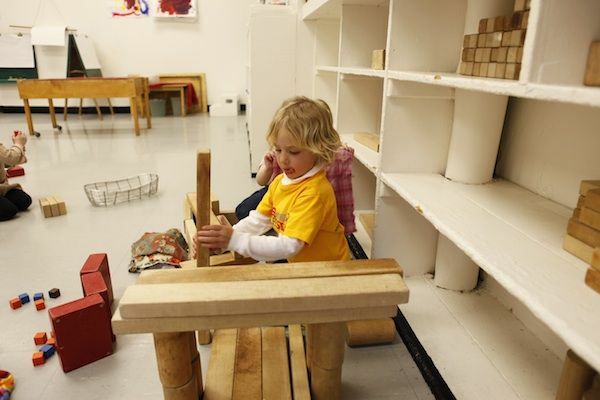 Early childhood is an age of experimentation, discovery and play, and blocks provide a perfect tool for young children. 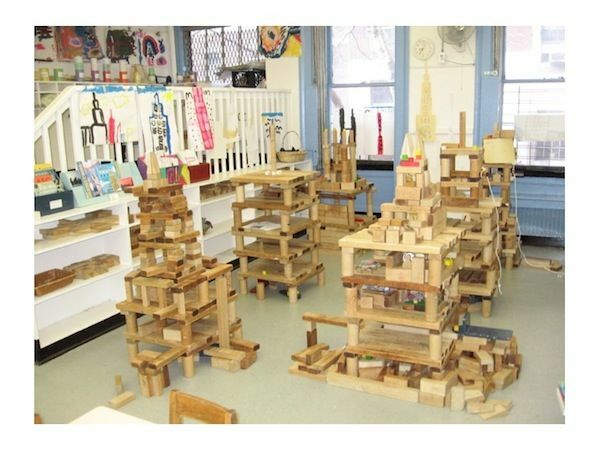 Through daily use of the material, children experiment with concepts of balance and weight in their constructions and use the unit blocks to explore patterning and design concepts. 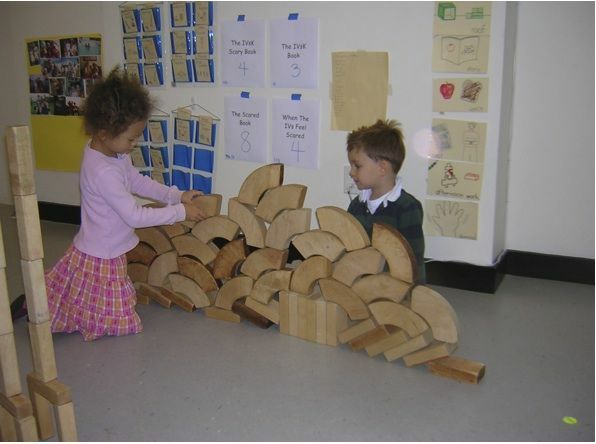 Young children begin to intuit the mathematical relationships of the unit blocks to each other, inviting children to explore fractional substitutions and other math concepts in their block work. 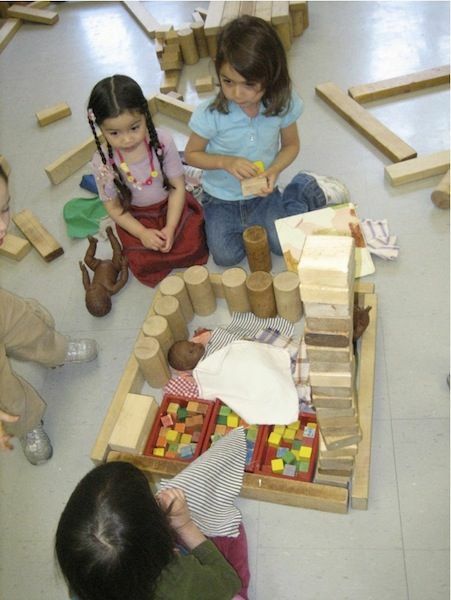 Children also use blocks to create a forum for their dramatic play. They create their own versions of familiar structures, from skyscrapers to apartment buildings, from harbors to airports, from zoos to farms. 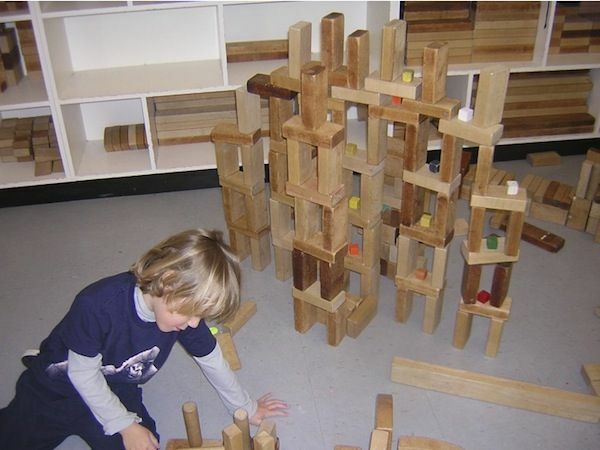 Play with these constructions allows the children to integrate information they have about the world around them, as well as to share new information with their peers. As they become older, the children begin to turn to books and the Library or trips out into the neighborhood as further sources of information for their constructions. 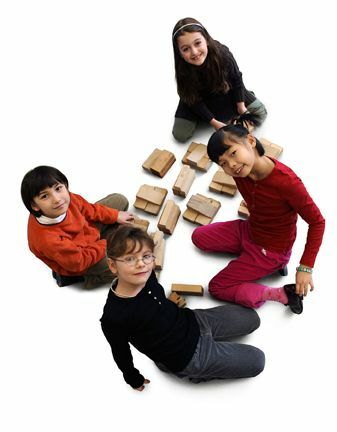 The Blocks Program provides the foundation for social studies in the 5s, 6s and 7s Groups, and the Program takes on a new structure at these ages. 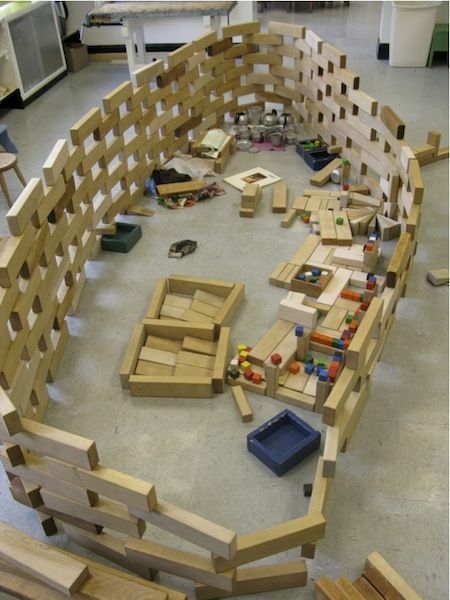 Up until this age, the children have built and put away their buildings on a daily basis. 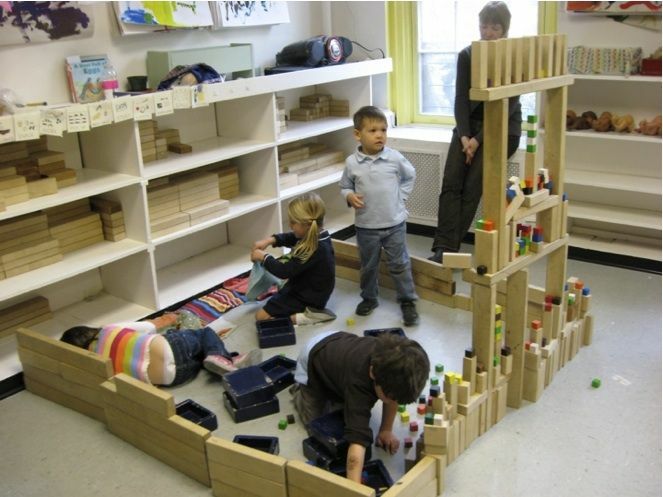 Beginning in the 5s, children work as a full group to discuss and plan their building work, and often keep their buildings up for weeks at a time. 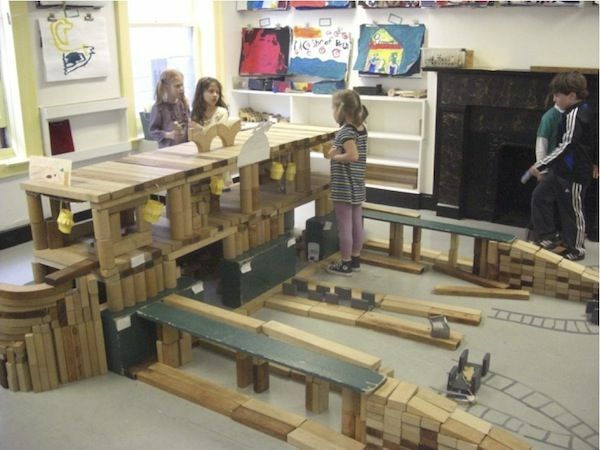 The children are expected to work with a partner and build a single, reality-based building that they research and refine over time. Other times, the whole Group works together on a specific block scheme, such as Grand Central Station or the Brooklyn Bridge. 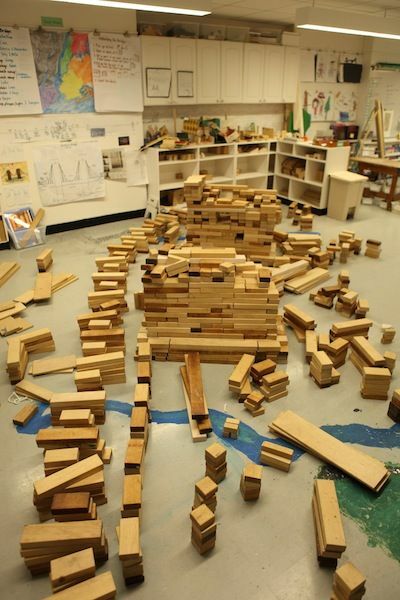 The children are working towards a scaled, representational construction that reflects their growing store of knowledge about the city, its history and the interconnectedness of the world. In addition, children are expected to work together toward a common end, resolve conflicts, make compromises and recognize each other's needs and abilities. Research skills are developed through trips, use of the Library and general inquiry. 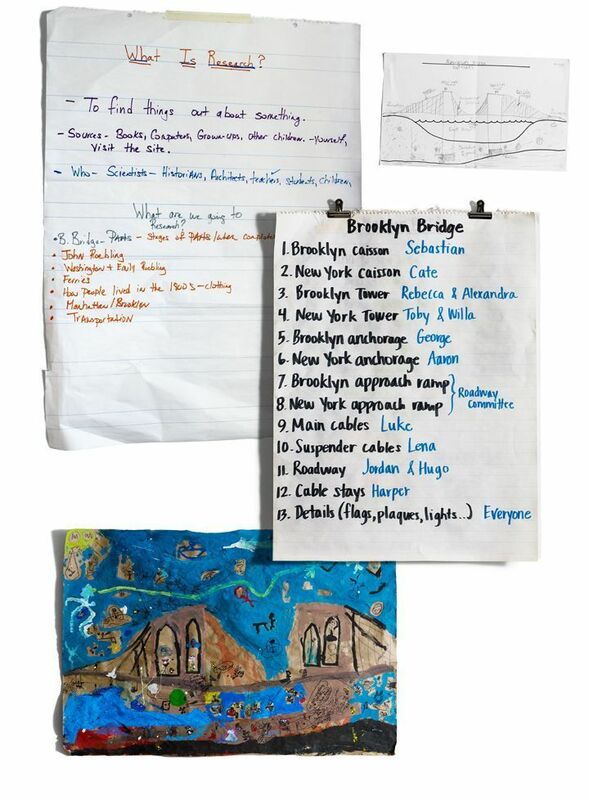 The children take many trips in order to further their studies, including research on the subjects of transportation and the many businesses and jobs found in New York City. Unit blocks are allfractional units or multiples of one another, and present many opportunities for learning math. 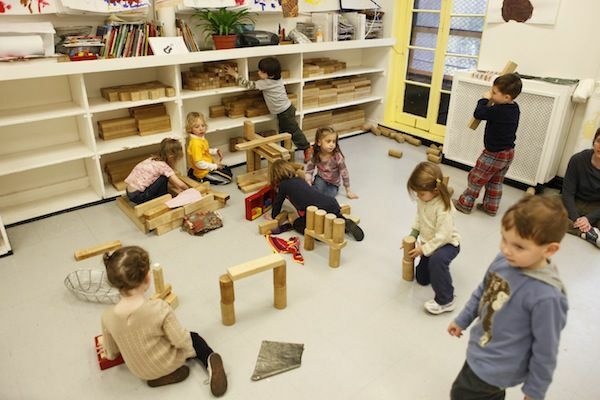 In the course of their work with the material, children experience number sense, symmetry and patterns, mapping and measurement, sorting and classifying, spatial orientation, multiplication, fractions and geometry. 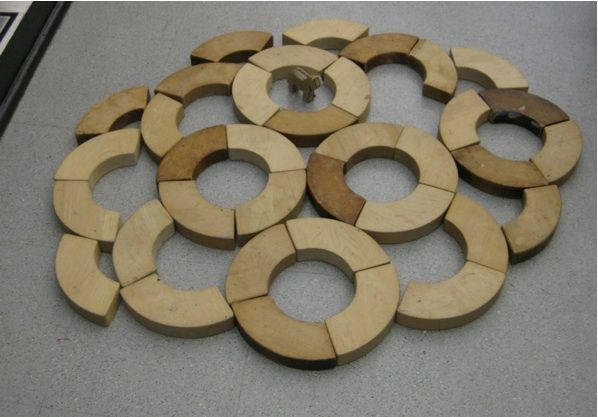 Through repeated use of these concrete materials, children come to hone and internalize these mathematical concepts. When they are then taught math in a more formal way, the children are given the language and symbols for these concepts that they already understand intuitively. Work with the blocks integrates many other aspects of the program as well. Geography, language arts, science, woodworking and art are also natural outcomes of block work and the social studies curriculum. Now used in schools the world over, unit blocks inspire creativity and enhance intellectual, physical, social and emotional development. 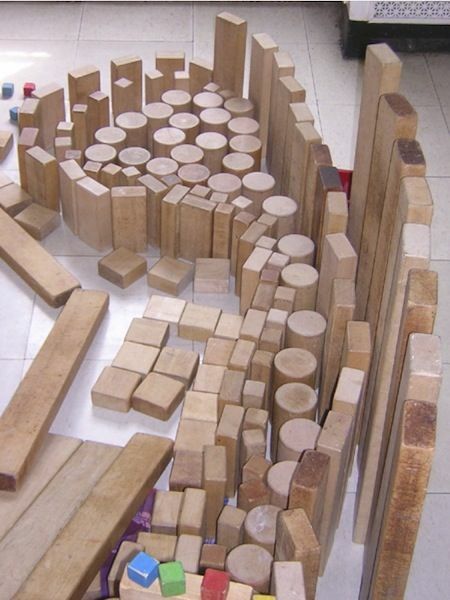 Through block play, children learn about the world and their place in it. 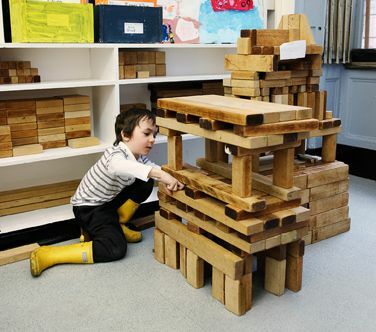 Block buildings become the backdrop for the development of academic skills, collaborative problem-solving, vivid narratives and powerful imaginative thinking. In 1981, Ken Burns produced and directed the Academy Award-nominated Brooklyn Bridge, featuring footage of C&C children planning and building the Brooklyn Bridge in blocks, as seen below in this short clip.